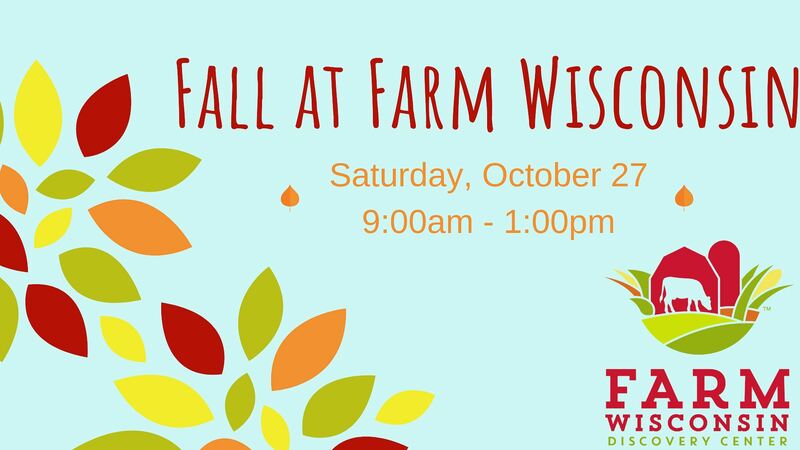 Manitowoc, WI (October 27, 2018): The Farm Wisconsin Discovery Center will be hosting ‘Fall at Farm Wisconsin’ this Saturday, October 27, from 9:00am to 1:00pm. All ages are welcome and children are encouraged to wear their costume. Guests will enjoy trick or treating, participating in different stations setup throughout Farm Wisconsin and sampling products from our Country Store. The different stations will include: feed the monster game, coloring pages, Halloween mask making, ghost bowling, spider web walking, pumpkin tic-tac-toe, guess the weight of a pumpkin, and find the pumpkin. The Country Store will be offering samples of wine, cheese, as well as other fall snacks. This event is included in the daily admission fee and Farm Wisconsin Memberships.